Is hosting a Sikh heritage exhibition depicting a rare collection of personal belongings of Sikh Gurus. Grand opening on 6th April 2013. Chola (robe) of Guru Nanak. 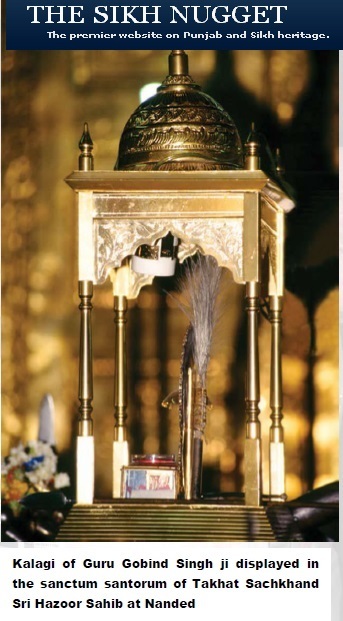 Personal belongings of Guru Hargobind Sahib. A beautiful personal Kirpal (scimitar) of Guru Gobind Singh. Guru Gobind Singh’s chest plate with a gold inscription. Historic khanda used at the time of the formation of the Khalsa. A bed-sheet of the Guru Gobind Singh. Panchkala Shastra (weapon) of Guru Gobind Singh. A chakki (grindstone) used to grind flour for Guru Gobind Singh. Rare photographs of the collection of artifacts in the Toshakhana of the Golden Temple. A shield from the armies of Maharaja Ranjit Singh.